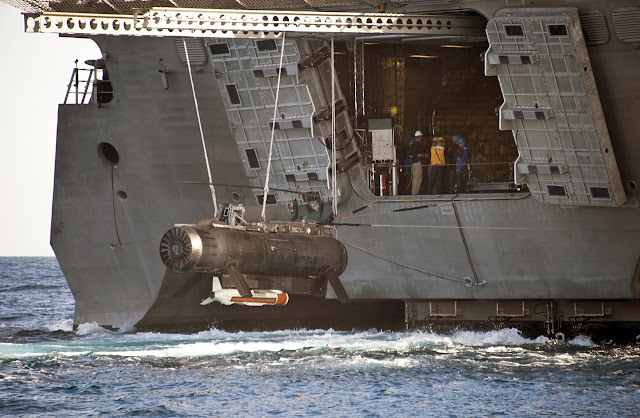 In a letter obtained by Breaking Defense, senators John McCain and Jack Reed slam a key component of the Navy’s Littoral Combat Ship as unreliable and urge the Pentagon to explore alternatives to the Remote Mine-Hunting System. The Littoral Combat Ship has been the Navy’s most hated program since its inception, and McCain has been a persistent critic. The core concept — a lightweight warship that could switch missions by loading different mission packages of equipment — remains controversial with naval traditionalists who see LCS as fragile and under-gunned.